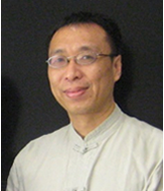 Dr. Shu Li (Ph.D.) is currently Professor and Chairman of the Degree Committee at the Institute of Psychology, Chinese Academy of Sciences. As indicated in Who’s Who in the World and the Dictionary of International Biography, he was a University of New South Wales Vice-Chancellor’s Post-Doctoral Research Fellow, an Australian Research Council Postdoctoral Research Fellow, and an Assistant Professor at both Nanyang Technological University and Macau University of Science and Technology before joining the “Hundred Talents Program” of the Chinese Academy of Sciences at 2005. His research interests are in the areas of risky decision making and neuroeconomics. His research has been published in both Chinese and English, and it has appeared in over five dozen journals, such as PLoS ONE, Journal of Gambling Studies, Journal of Behavioral Decision Making, Organizational Behavior and Human Decision Processes, and Judgment & Decision Making.